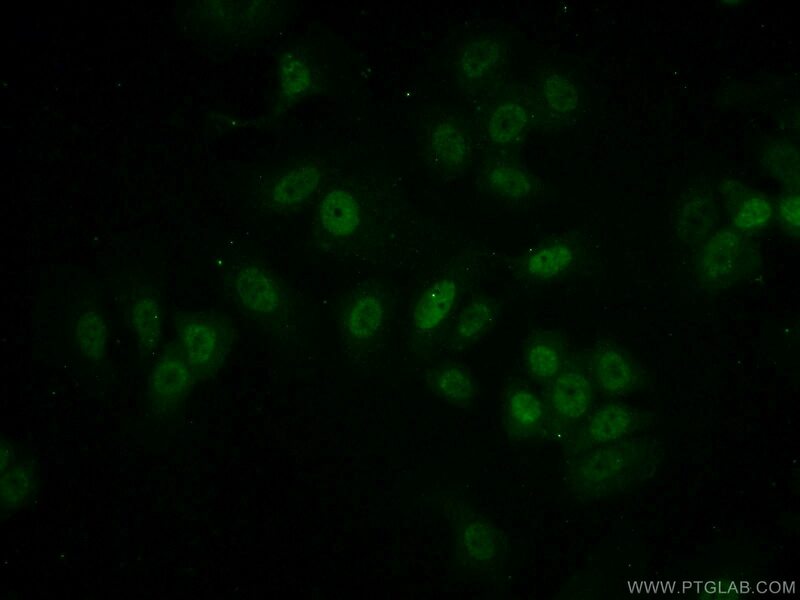 IP Result of anti-MEPCE (IP:14917-1-AP, 4ug; Detection:14917-1-AP 1:400) with MCF-7 cells lysate 3200ug. 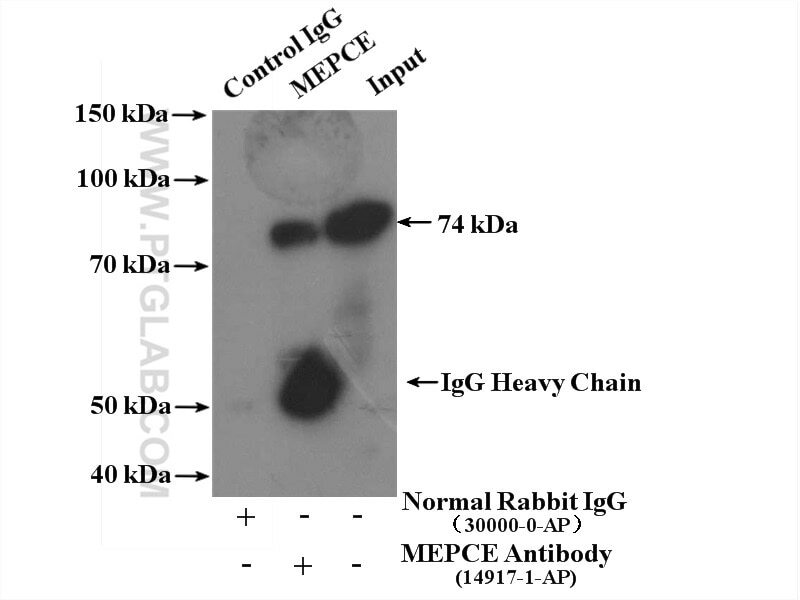 MEPCE is a somponent of the 7SK snRNP complex, and a S-adenosyl-L-methionine-dependent methyltransferase that adds a methylphosphate cap at the 5'-end of 7SK snRNA, which leads to its stabilization. 7SK small nuclear ribonucleoprotein complex is recruited to the HIV-1 promoter via short viral transcripts. Human METTL16 is a N6-methyladenosine (m6A) methyltransferase that targets pre-mRNAs and various non-coding RNAs.